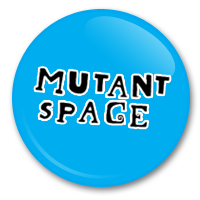 Mutant Shorts is a filmmaking event which is part of the MutantSpace group of projects. It welcomes filmmakers of all levels to participate and see their short films up on screen. While there is a competitive edge to Mutant Shorts, (there is a prize for the best short), it is primarily a chance for aspiring filmmakers to get together and share their talents with each other.